This paper was published in November 2016 in Transfusion. 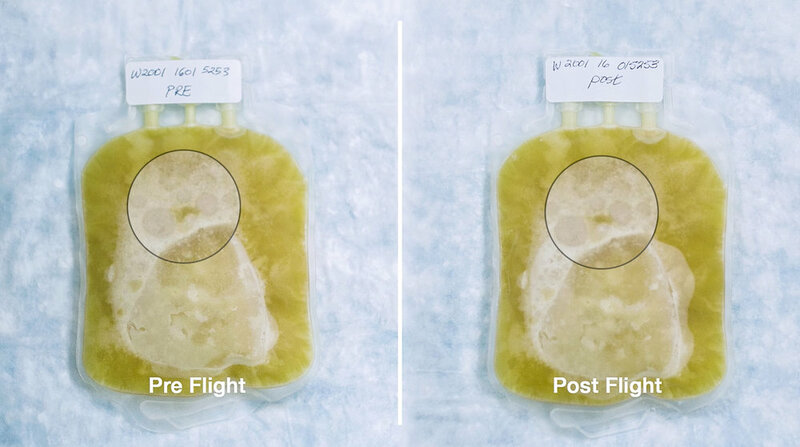 In a report about the findings, published ahead of print in the journal Transfusion in November, the investigators say the findings add to evidence that remotely piloted drones are an effective, safe and timely way to quickly get blood products to remote accident or natural catastrophe sites, or other time-sensitive destinations. “For rural areas that lack access to nearby clinics, or that may lack the infrastructure for collecting blood products or transporting them on their own, drones can provide that access,” says Timothy Amukele, M.D., Ph.D., assistant professor of pathology at the Johns Hopkins University School of Medicine and the paper’s first author. Drones also can help in urban centers like Baltimore City to improve distribution of blood products and the quality of care, he says. The team plans further and larger studies in the U.S. and overseas, and hopes to test methods of active cooling, such as programming a cooler to maintain a specific temperature. “My vision is that in the future, when a first responder arrives to the scene of an accident, he or she can test the victim’s blood type right on the spot and send for a drone to bring the correct blood product,” says Amukele. Other authors on this study include Paul M. Ness, Aaron A.R. Tobian, Joan Boyd and Jeff Street of The Johns Hopkins Hospital.